Growing evidence suggests that the reliance on cognitive control processes during normal walking increases as the locomotor task gets more complex and challenging. The aims of the present study were to explore the (negative) effects of smartphone gaming on gait performance in healthy young adults, and to identify cognitive resources that might help to maintain high gait performance during dual-task walking. 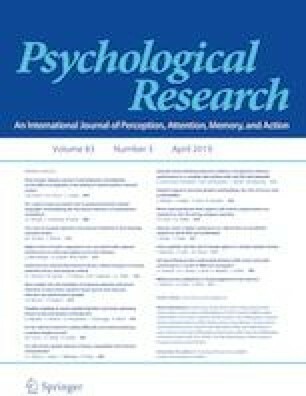 Gait speed and gait variability during walking at a self-selected comfortable speed were assessed in 40 healthy, young adults, and compared between single-task and dual-task walking (i.e., concurrent smartphone gaming) in undisturbed, simple and more challenging walking environments (i.e., stepping over an obstacle while walking). Based on single-task performance, dual-tasking costs were computed and linked to higher-level cognitive control processes, which were assessed for each individual. Cognitive function testing encompassed tests on the mental representation of the gait, working memory capacity, inhibitory control and cognitive flexibility. Our data revealed that gaming on a smartphone while walking strongly affected participants’ gait performance (i.e., up to 26.8% lower gait speed and 60.2% higher gait variability), and decrements in gait performance were related to higher cognitive control processes. Cognitive resources that were associated with performance decrements in dual-task walking include response inhibition, cognitive flexibility, working memory, and a well-structured mental representation of the gait. From that, it appears that even in healthy young adults better cognitive resources may help to maintain high gait performance in situations, in which we have to deal with dual- or multi-task demands (e.g., using a smartphone) while walking. We would like to thank Franziska Kesper, Paul Sternberg and Hendrikje Suhr for their help in data collection. Hubert, A. (2015). True color [Software]. Available from http://play.google.com.